The Safe Passage UK team said they have interviewed 33 boys in November. 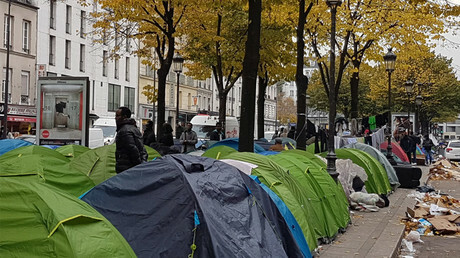 Some said that they haven’t been given clean clothes since they arrived, don’t feel safe, and even felt better in the Calais Jungle camp – a notorious refugee camp that was shut down by French authorities in October of this year. “I am not happy here at staying in this accommodation and please, please take us out of here to the UK, no proper food, clothes,” one boy said. Three boys said they were forced to work “in fields picking fruit sent to supermarkets” and others said they were “living with adults in children’s accommodation,” the group wrote. “It looks like prison. We don’t have any things to play and all the time we staying in our room and it is not safe for us. We lives in middle of adults; their ages are over 20 years,” (sic) one of the boys said. Three boys said that they haven’t spoken to any officials since arriving. Moreover, all but one said they don’t fully understand the information provided by the staff where they are staying. “Please do everything that is possible to help us. We have family in UK. We are human not animals and we are stuck here,” added another boy. “Every day children are separated from their families in the UK, or the opportunity to be placed with foster families, they are missing out on their childhoods,” she added. Two boys were considering running away, and two that were not included in the survey have already done so. “With children already absconding from the CAOs, it is vital that the Home Office speeds up the rate of transfers to the UK,” he said. Safe Passage UK has launched a petition calling upon Home Secretary Amber Rudd “to bring 1,000 children to safety in the UK by Christmas.” It has been signed by some 2,000 people. 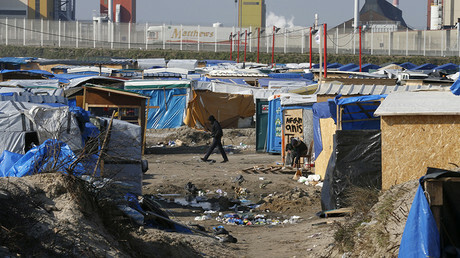 Thousands of migrants looking to cross the English Channel to find asylum in the UK were holed up at the Calais border camp for months. However, Britain only agreed to take in around 1,000 migrant children with relatives already in the UK. According to EU rules, the UK must take in unaccompanied children who have family ties in the country under the Dublin Regulation.